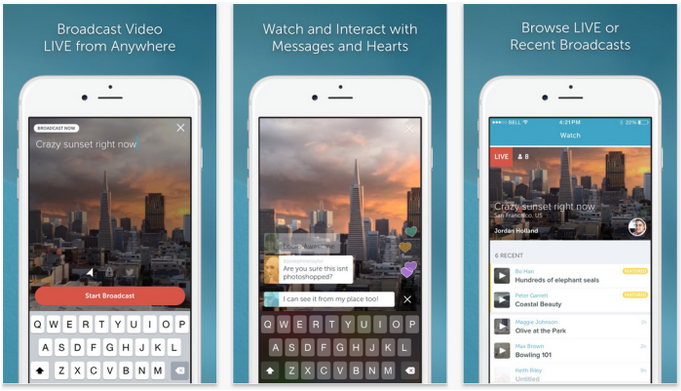 If you haven’t heard of Periscope, it’s sure to start popping up on your radar in the near future. Twitter recently acquired this live video streaming app, and it’s the perfect mix of amateur broadcasting and Skype-like services. Since Twitter launched Periscope in March, many companies are trying to find ways to utilize this app to leverage marketing efforts. Here are 5 ways to utilize Periscope as a marketing tool on social media. Build Your Brand’s Story: When customers purchase a product, they’re typically buying more than just the item itself - they’re buying the story behind it! Users are infatuated with anything ‘behind the scenes’, and Periscope gives brands a way to take thousands of users on an office tour or to a meeting with some of the executives - all without the hassle of actually bringing folks into your brick-and-mortar establishment. Announce Special Offers: Twitter click-through rates are about to get outshined by the interaction that can be obtained with Periscope. Users are typically much more engaged to a live-stream event, and you can utilize this opportunity to announce special offers and push traffic to your site. Sneak Peeks! : Build this one up a bit with some Twitter cues, and then reward your Periscope audience with a special sneak peek of a new product. Trigger that ‘you need this’ message ahead of time, and use Periscope as that exclusive way to catch a glimpse of the newest products or changes going on with your brand. Live Q&A Sessions: The best part about Periscope is that you have the opportunity for direct target-consumer action. Users have the ability to interact with your employees live, and this can garner more trust and improve that customer-to-company relationship. Use these moments to foster that bond with live Q&A sessions to directly interact with those users and answer questions they may have. Just be sure to plan ahead of time how you’ll handle any sensitive or negative questions. Presentations: Don’t forget about your B2B interactions! You can give live presentations where other companies can interact and comment in real-time. This way, users can watch a presentation without having to drive across town, and it’s essentially the same as being in the same room with the presenter (sans the complimentary snacks!). Utilize Periscope to leverage your marketing efforts. This direct to target-consumer advertising opportunity is priceless. GaggleAMP has found that the life of a Tweet is about 1 hour.